Choosing an agency to implement a quality SEO campaign and monitor it for lasting success is not easy. Any company would be highly satisfied with the efforts and service provided by Level343. The marketing experts at Level343 are also great at programming. 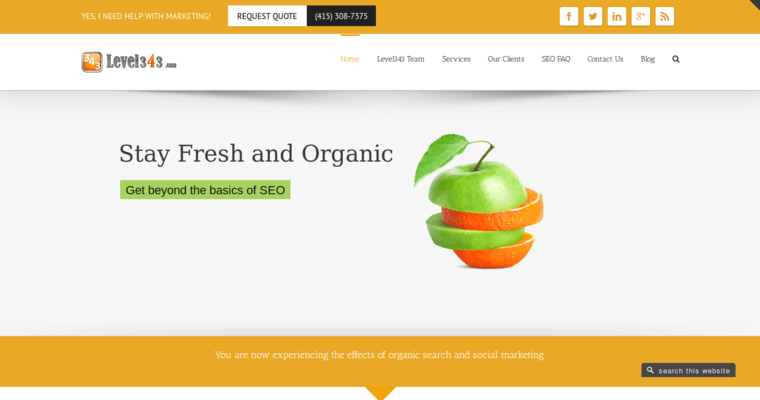 They build SEO into a site's architecture, working where people do not notice that SEO is in place. However, the search engine algorithms notice it and move the site up in the SERPs. 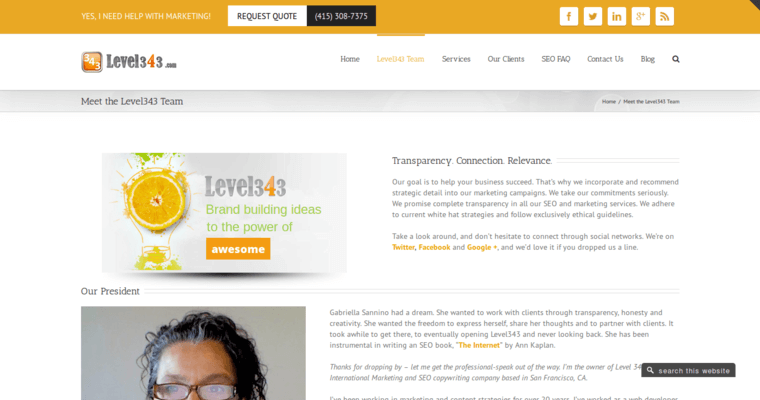 Level343 also puts SEO into the site's content in a strategic way. Updating old content, using thoughtful tags and links and streamlining what is on the site all play an important role in getting a great SERP. Level343 is staffed by people who are passionate about providing clients with the best possible level of customer care. 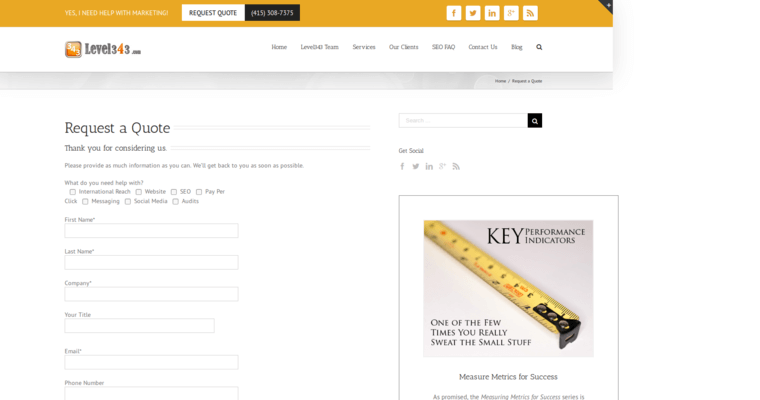 Level343 measures their results and can make updates at any time if there is a decrease in site SERP.